Mid-City South (East) is an industrial building located in the Twin Cities Area, MN, directly south of Interstate 35W and west of Highway 280 in the heart of Mid-City Industrial Park, a General Purpose Foreign Trade Zone. Built in 1972, the property has a clear ceiling height of 24 feet, features 16 dock doors, and seven rail doors. 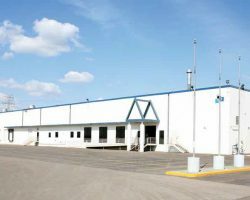 Mid-City South (East) comprises 167,879 square feet of leasable area and was acquired as part of the Minneapolis Industrial Portfolio II. Midwest Hardwood Corporation, Trend Enterprises, Inc.